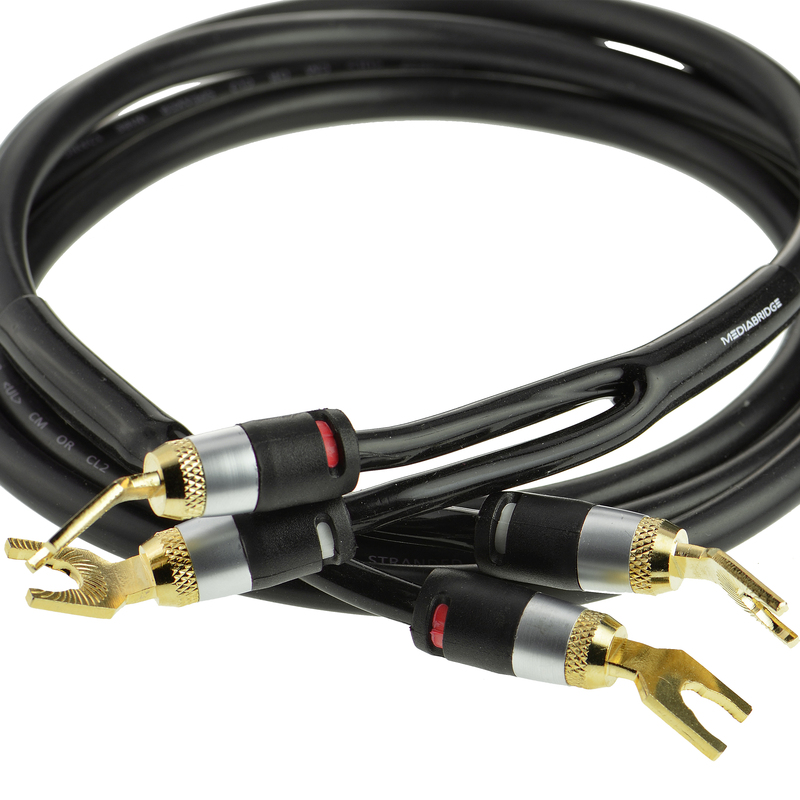 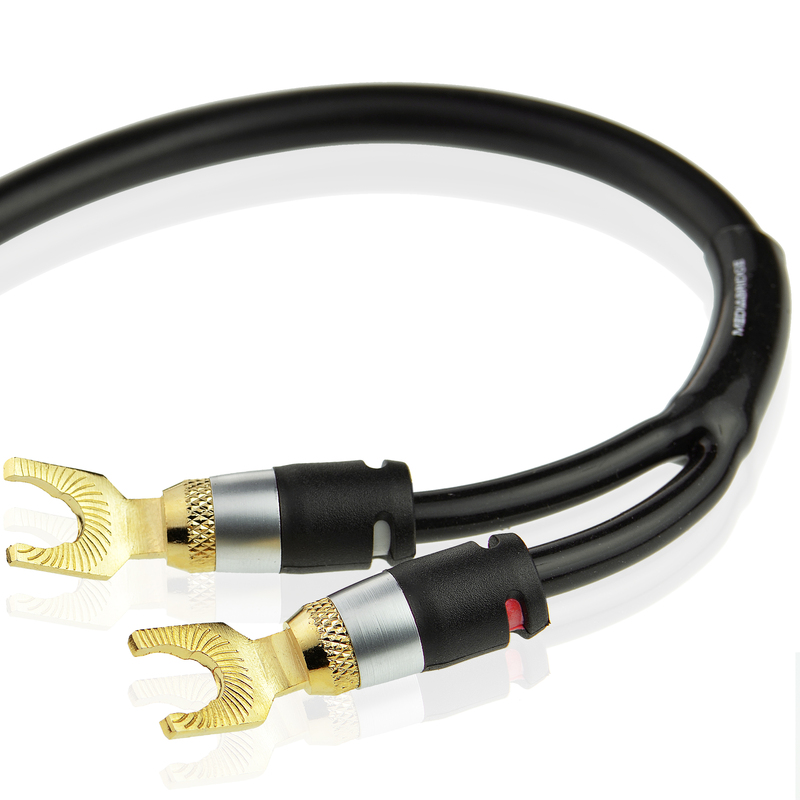 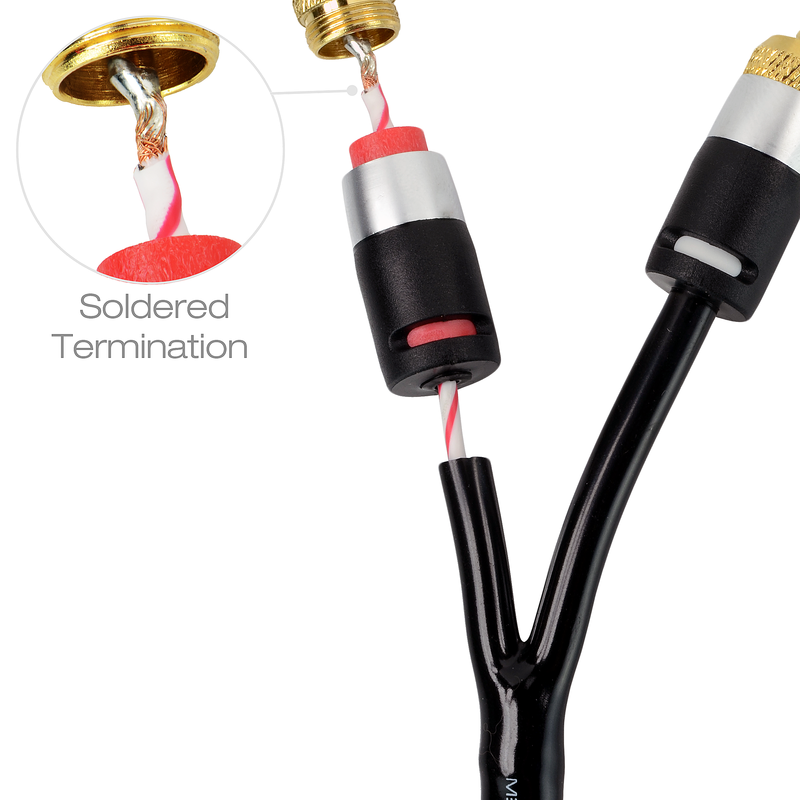 Soldered spade tip terminations create a secure connection with your speaker’s terminals and make this Mediabridge speaker cable the best long-term choice for your high quality speaker system. 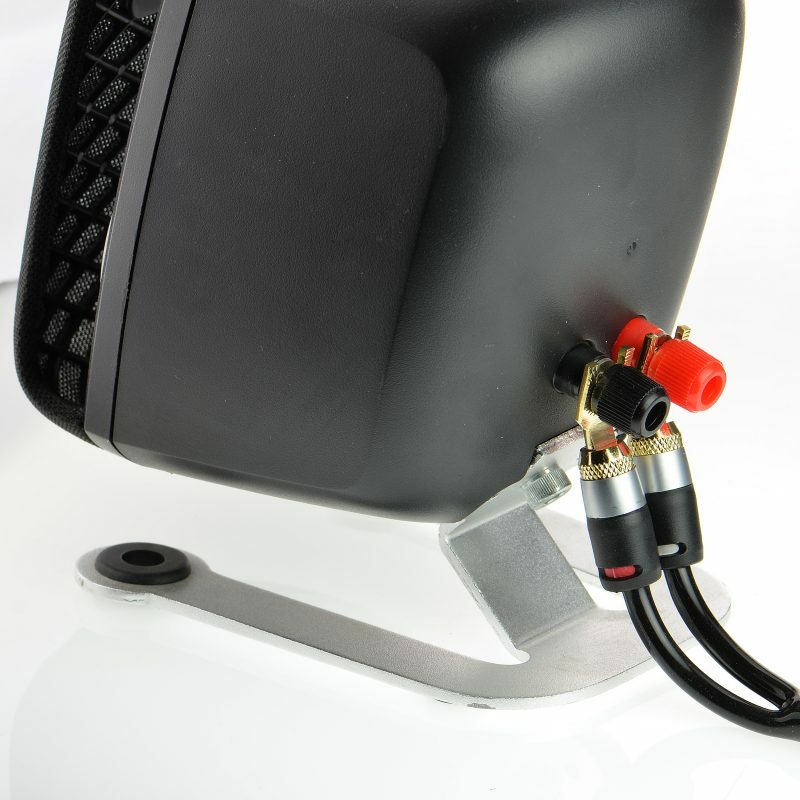 CL2 rated for in-wall applications. 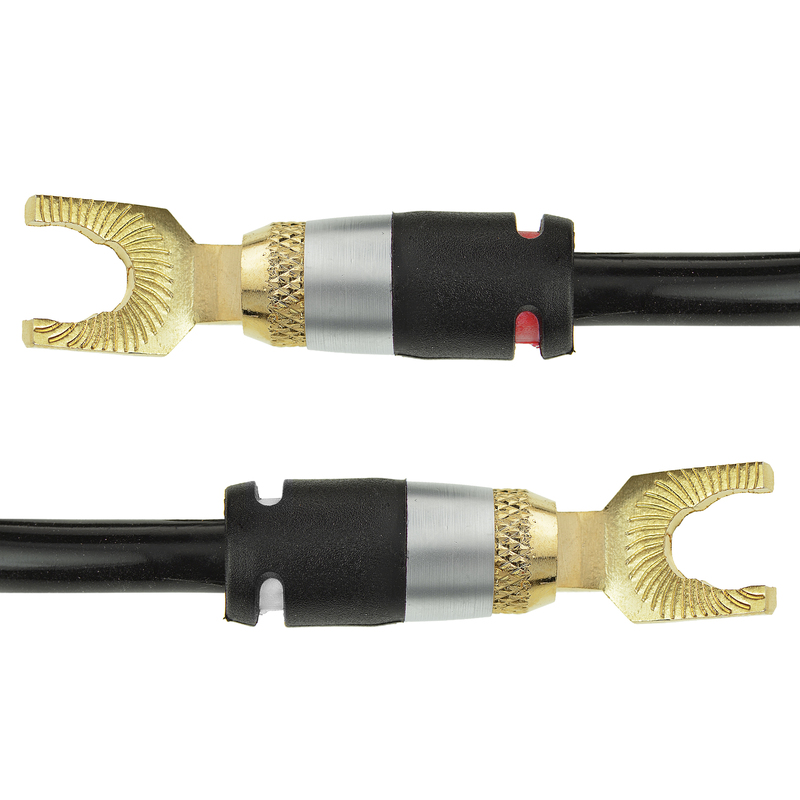 Dual conductor 16 AWG, with color coding to distinguish left from right to enable matching polarity. 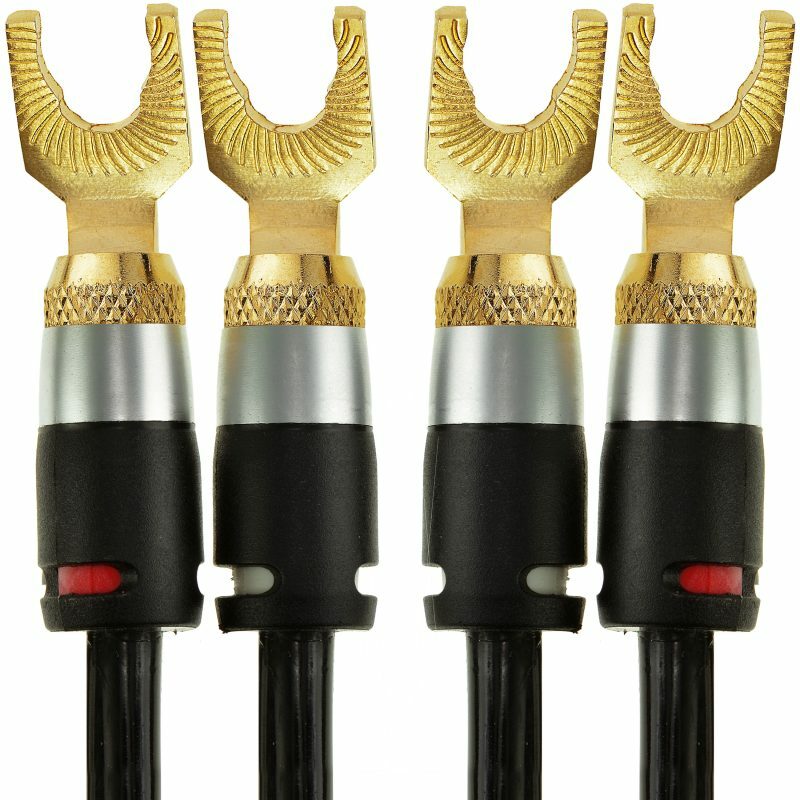 Brass/copper spade tips for typical and custom installs alike. 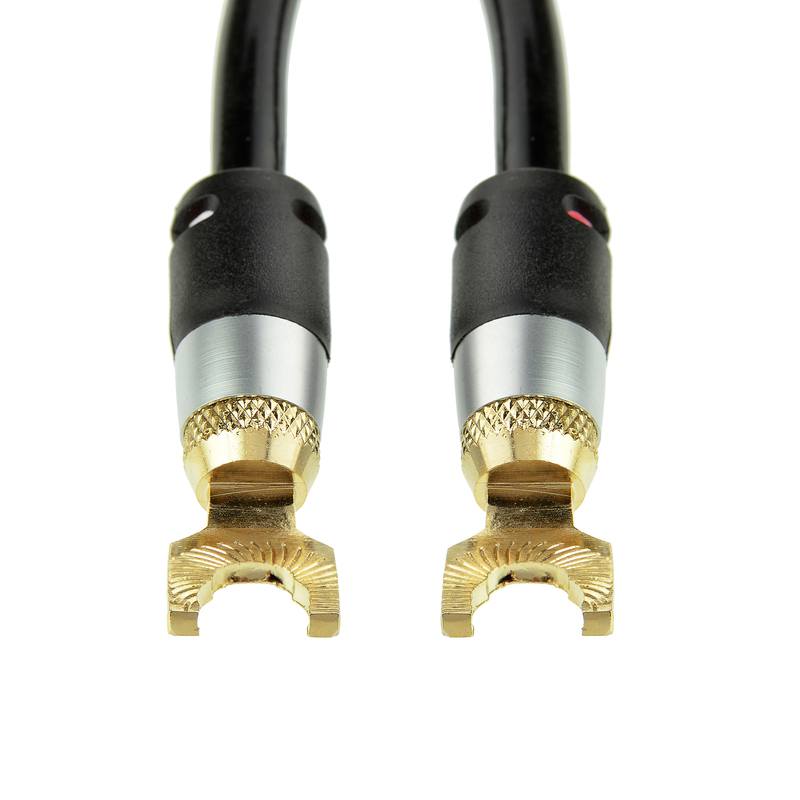 Corrosion-resistant gold-plated connectors and oxygen-free stranded copper wire (high strand count) provide clarity, natural sonic accuracy and minimal signal distortion. 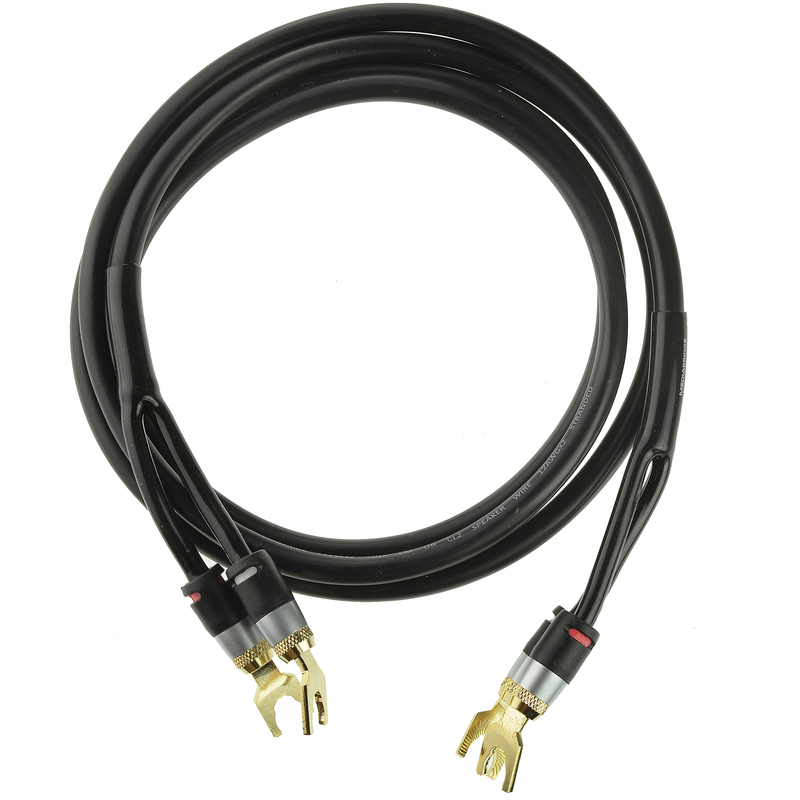 Maintain integrity even when bent, with a no-slip PVC Y-Boot and a durable, yet flexible PVC cable jacket. 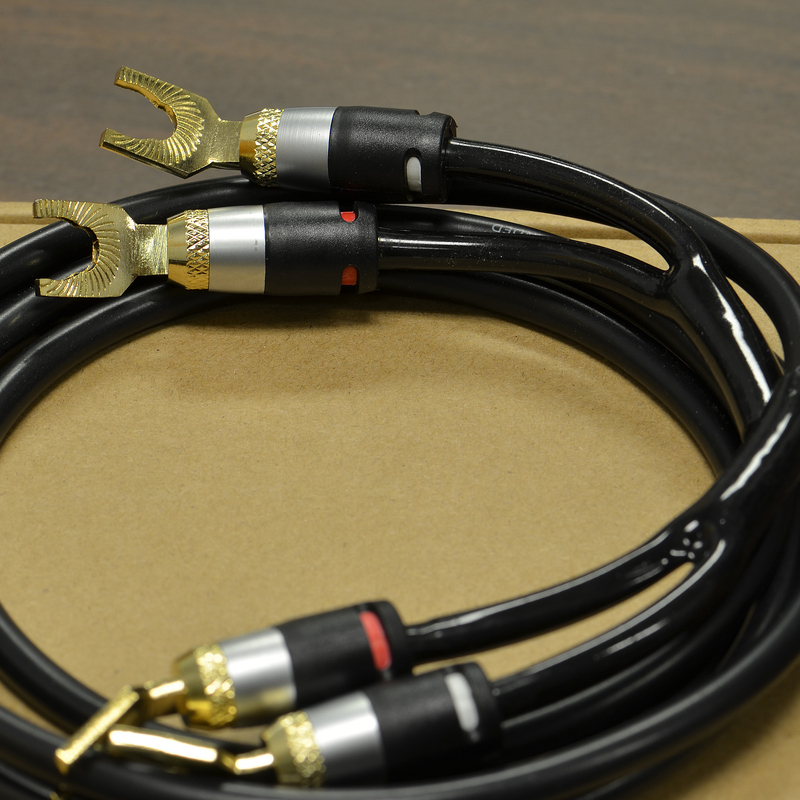 Pro-grade quality suitable for audiophiles, without the hassle of cutting and fiddling around with your own speaker wire.